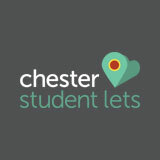 "CLC Electrical Solutions are our dedicated electrical contractors for Chester Student Lets, they carry out all maintenance work and refurbishments within our student houses. We continue to use CLC as they are highly reliable and professional electricians who we can always depend on to complete work within a given time frame and to the highest possible standard. It is also important for us to have a contractor who we can call upon in a matter of urgency and CLC always respond promptly and efficiently to any issues which may arise. 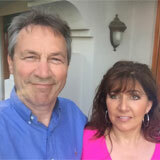 We are very happy with the service provided to us by CLC and would not hesitate to recommend them." 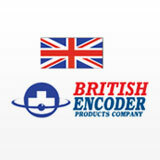 "CLC Electrical Solutions have provided electrical services for British Encoder Products on several different occasions over the years. They provide a quality service in a timely fashion whilst always displaying a very positive and professional attitude. Our most recent project involved converting the whole factory site to low voltage LED and the removal and re-installation of over 200 lights units. Working closely with CLC Electrical Solutions we were able to complete the project on time, and in budget, and their willingness to go above and beyond our expectations played a colossal factor in us achieving that goal. I would happily recommend CLC Electrical Solutions Ltd to anyone." "CLC have carried out a substantial amount of electrical work on our property which is Grade II listed and presented a difficult and challenging project. Their standard of work is excellent and technical knowledge outstanding. They are always reliable, show great attention to detail and offer very good value for money. 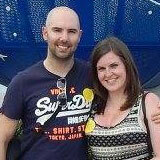 CLC are a pleasure to work with and we would highly recommend them to anybody." 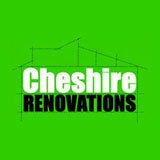 "At Cheshire Renovations we carry out a range of high end building projects and specialise in full or part renovations and extensions. As the director of the company it is vitally important to me to work with contractors I can trust to offer the exceptional levels of craftsmanship and excellent customer service that my clients expect. For this reason, CLC Electrical Solutions are my trusted contractors for all electrical works on the projects I undertake due to their capability, wealth of knowledge and professional attitude. The service provided to us by CLC Electrical Solutions over the years has been outstanding and I look forward to working with them for many years to come." "Upon moving into a new property we wanted to install a security alarm and also arrange some rewiring work and additional sockets. CLC Electrical Solutions carried out all of the work to a high standard and at an affordable price. We were very impressed with their work and they didn’t leave any mess behind. We’ll definitely use them again in the future and would highly recommend them."